Short Answer: Yes, Skrill works in Ghana. You can create a Skrill Ghana account in minutes with ease. There are even more fascinating aspects of Skrill. Unlike payment portals such as PayPal where Ghanaians are still struggling with. Skrill makes things simpler, easier and flexible. 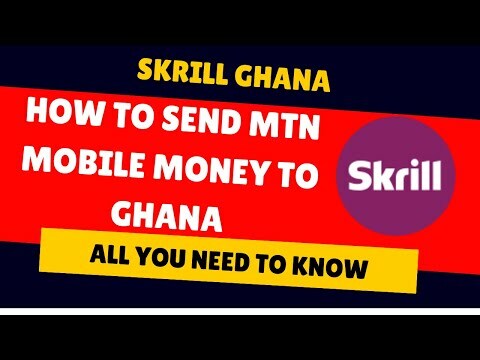 In fact, you can do all your Skrill money withdrawals to MTN mobile wallets in Ghana. Skrill, formerly known as Moneybrokers is a digital wallet with no boundaries. Skrill is a service from Paysafe, a leading global provider of payment solutions. Paysafe Group plc is listed on the London Stock Exchange under the symbol (PAYS.L) with brand portfolio including Skrill®, NETELLER®, paysafecard®, paysolution® and FANS Entertainment. In March 2016, there was a collaboration between MTN Ghana and Skrill. This collaboration made it easy for Skrill customers to move money directly into MTN Mobile Money accounts in Ghana. This can be done in any currency via the Skrill International Transfer (Skrill IT) service. MTN Mobile Money customers can then cash out funds at any time at an MTN Mobile Money agent in Ghana. It takes just a few minutes to create a Skrill wallet or account and bring all your payment details together in one place. You have the opportunity to choose from 40 currencies. Skrill helps its users to stay in control of their funds with a simple, secure and quick payment methods. The user-friendly interface helps you maneuver your way through stored cards and your account balance. If you have enough funds in your Skrill wallet and you want to withdraw, Skrill makes moving yours funds easier. You can either move your funds from Skrill to your bank account instantly or make ATM withdrawals. What is Skrill payment methods? Skrill payment methods are basically Skrill deposit methods used to load your Skrill account with funds for transactions. With a bank account, Skrill customers can fund their Skrill account with bank transfers. This deposit option is available for all countries. You can also make local bank transfers without incurring cross border charges. However, bank transfers must originate from a bank account held in your name. According to Skrill support, local and international bank transfers take 2 to 5 business days (excluding weekends and national holidays). Just like any payment provider, Skrill utilizes Credit and debit card deposits. One should be aware that many card deposits are instant but comes with charges and that your first deposit may require identity verification. According to Skrill support, they supports popular international and local card types: AMEX, VISA, Mastercard®, JCB, Diners, Maestro*, Laser*, Carte Bleue*, CartaSi*, Postepay*, though some have limited availability, depending on your country of residence. Card deposits should originate from a credit or debit card that is not a virtual or prepaid type, and the Skrill account holder must be the cardholder. You can also deposit with paysafecard in some countries where it exist. Other country specific local deposit options are also available. For more information, please consult our Consumer Fees page or visit ‘Deposit’ in your Skrill account. NB: Skrill is not able to accept personal checks or money orders. We also cannot accept payments in cash. 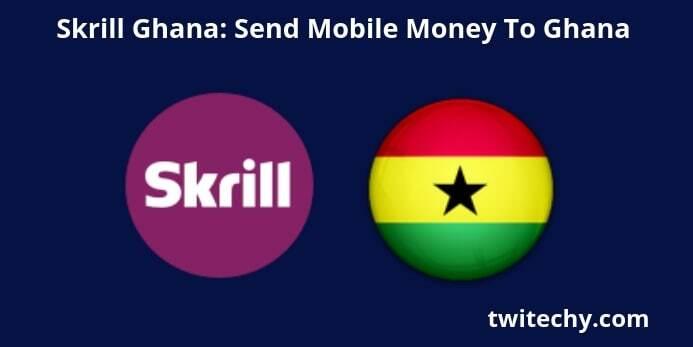 Skrill have made it easy to receive or withdraw money in Ghana. Whether you’re sending money to friends and family or want to pay someone in Ghana in cedi, send with Skrill. The person receiving the funds needs to have an MTN account. So Skrill helps you make simple, secure and quick online global payments – from international money transfers to betting, trading, shopping and gaming. Integrating with SkrillIt makes it easy to add Skrill to your checkout. There can be several simple and quite complicated alternatives to using Skrill in Ghana. 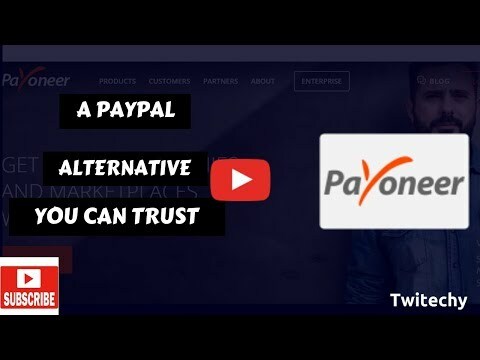 Payoneer in Ghana is a cross-border payments platform that empowers businesses, online sellers and freelancers to pay and get paid globally as easily as they do locally. This payment platform is a New York based fund transfer service. With over 13 years of experience you’re assured that its legitimacy. Will be talking about and will help you create a Stripe account in the near future. Stay with me on this blog for more on this. Do you have any experience with Skrill? How do you find Skrill as compared to other payment processors. Is there something I’ve let out or should add? Your comment is my fuel.